Lean principles help you lighten that load, so you can put all of your energy into rolling the boulder. Here are four ways to apply lean principles to your small business. The first and foremost rule of all lean principles is to put people first. This includes investing in your employees, who will, in turn, be more likely to put your customers first. Putting people first also refers to your relationships with suppliers and even other businesses, including competitors. How you deal with your employees, clients, consumers, vendors and even competitors will go a long way towards determining the success of your business. By building, establishing and maintaining good 360-degree relationships, you will also build a healthy, robust business. Putting your relationships first - both business and personal - will also help you better determine what to toss and what to keep when it comes to waste. Not all "downtime" is necessarily a waste in business. It is important to remember that sometimes "downtime" is a valuable relationship building time. Every business will eventually go through major storms. The time you spend building relationships may be just the thing to carry you through them. 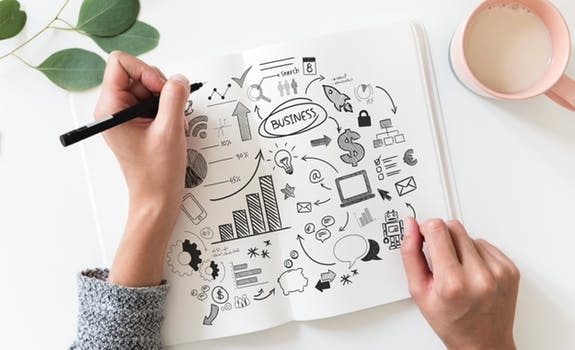 When businesses are in the startup phase, small business owners are more concerned with simply getting things done than how efficiently they are being done. Over time, however, many inefficient processes remain simply because that's the way they've always been done. Lean principles are constantly evaluating every activity and process to determine if they genuinely add value. For example, you may have a staff meeting every Tuesday because that's what you've always done. If your staff meeting takes an hour, however, and involves 10 people, then your meeting has just cost you 10 man-hours. It is important to evaluate whether that meeting adds enough value to be worth the cost of 10 man hours. In addition to activities that add value, you also want to keep processes that enable value. If your staff has a lot of fun at your weekly meetings and it's a good bonding time that helps them work well as a team, then while it might not add value it is most likely enabling value. Business processes and workflows are often used synonymously and interchangeably. In fact, there is a great deal of debate as to what the exact definitions of each are. The important thing here is not to land on the exact right definition of each, but to ensure that you and your team are all on the same page. Even though they were first developed for the auto manufacturing industry, lean methodologies also have practical applications across all sectors today, which also includes improvement of processes and workflows. What was once known as the Toyota Production System can now be used for your marketing and sales efforts, your organizational processes or your customer support. Applying this methodology requires that you all work together to achieve larger organizational goals through acceptance of smaller changes. Each small change in the process should, in turn, be consistently evaluated to determine if it is generally helping to move the team or business towards the stated goals or not. If it helps, you keep it. If it doesn’t, you discard it. Muda is the Japanese word for waste and it is considered one of the deadly sins of lean processes. Waste occurs in many forms. From paper wasted making copies of something no one reads or uses to time wasters to unnecessary tasks or steps in a process. Another similar concept that bears weight here is Kaizen or continuous improvement. When things are running smoothly, it can be all too easy to simply, sit back, relax and enjoy the moment. While that is not an inherently bad thing for a short time when things stop being carefully tended to, they have a tendency to stall, jam, break down or not run quite so smoothly. Kaizen, on the other hand, seeks to constantly be finding a better way of doing things. It is not a relentless system, but rather a gracious and gentle one. One of the main principles of Kaizen is 1% improvement. In other words, it's not a matter of constantly bending over backward, stressing and straining to improve, but it is also not sitting back and resting on your laurels. Kaizen seeks to create a 1% increase, gain or change for the better every single day. One of the most important concepts of lean practices is that they never stop. Lean practices are like drops of water; small, gentle, harmless and seemingly weak and ineffective on their own. But over time, enough tiny drops of water falling relentlessly can create giant canyons, chasms, and even waterways and entire water systems. Lean practices help you cut out all the waste to clear space for what is important: People, relationships and constant growth & improvement. All of this leads to a leaner more streamlined system, which in turn frees you up to focus on building your business rather than simply running it.